Spend you summer helping the State of Vermont cataloging and mapping valuable wetland ecosystems. The internship will focus on updating Geographical Information Systems (GIS) mapping products, as well as providing assistance in the form of data management and field work. In this internship the individual will learn about the Vermont Wetland Rules and environmental regulations, how to identify wetlands remotely and in the field, and how integral mapping is to the success of wetland protection. In-the-office support will focus on developing and improving wetland mapping products in the Esri ArcMap environment. Tasks will include; digitizing and coding historic wetland delineations, editing existing wetland datasets, and learning how to map wetlands remotely via “heads up digitizing”. The intern will have the support of professionals with mapping experience who will provide training in aerial interpretation and other mapping tools. 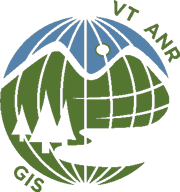 At the end of the internship, mapping efforts will be reviewed and then published publicly online to the VT Natural Resources Atlas. Learn more about this CCI Sponsored Internship in Handshake. Application deadline is March 1st.